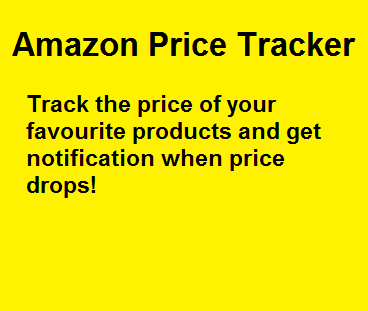 Are you looking for amazon price alert tracker which automatically track the Amazon products price on a daily basis and send an email to you if the product is selling at offer price/ low price? Do you want to get alert when Amazon product price drop? Are you an Amazon seller and want to monitor your competitor’s products price daily? Or, Do you want to buy a mobile or any gadgets from Amazon for a great deal? Great! You are landed on the right page. My Amazon price alert tracker will do that for you. If you have any custom requirement, feel free to connect with me. I’m offering paid service to modify the existing tracker as per your needs. Even Amazon can change the price of a product for a single user based on the user search. For example, if you are searching for similar products daily on Amazon then you would have got a mail from Amazon with similar products at an offer price. Isn’t it? This is how Amazon sustains on the market for the long term! Without wasting any more time, let’s see how Amazon automated price tracer works. How does Amazon price alert tracker work? In the previous post, I’ve written an Excel macro to scrape Amazon product prices from websites. But this Amazon price tracker is most advanced, accurate and efficient since we are tracking the price on Google sheets integrated with Amazon API and send you an automated email when product price drops. It’ll watch the Amazon products prices every day and send you an email containing the list of products that are selling at offer price/low price. So, you can buy/ add products to your cart directly from the mail. I’ve basically designed two version of Amazon price tracker. Freemium version for ordinary buyers and Premium version for professional buyers/sellers. With freemium Amazon price tracker, you can track up to 30 Amazon Products. With premium, you can track up to 300 Amazon product prices. As of now, it’ll work only for Amazon US marketplace. 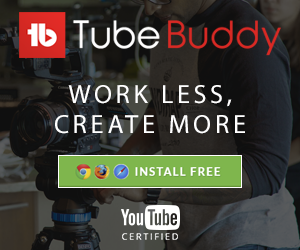 If you want to implement the same for other marketplaces kindly contact me. Note: When you are buying the Amazon price tracker, please give the email ID that you are using frequently so whenever I add the new features to the tracker you’ll be notified. How to get Amazon price alert in Google Sheets? When you click on the link (either Freemium or Premium), you have popped up asking email ID to send the detailed document and Payment (only for premium) to complete the purchase. Once you are done, you can check your email for attachment with details to copy Amazon price tracker on your drive. 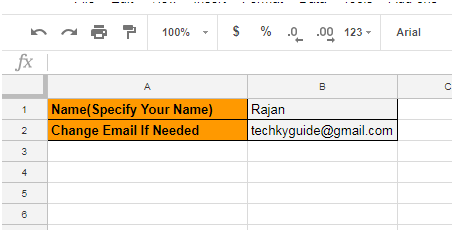 Make sure that you have already logged in with your Gmail account so that you can make a copy of this Sheet to Google drive. Isn’t simple? Now go to Google drive and open the spreadsheet. How to Set Up Amazon price alert tracker? Go to “Settings” tab. That’ll be the first sheet on the tracker. Enter your Name on B1 and enter email ID that you want to get price alert. Now go to ASIN tab. Enter the ASIN of the product that you want to monitor. ASIN stands for Amazon Standard Identification Number. It’s a 10-character alphanumeric unique identifier that’s assigned by Amazon.com and its partners. It’s used for product-identification within Amazon.com organization. Where can I find the ASIN for my Products? It’s simple. Just go this product and scroll down the Product information page. Otherwise, you can use search option (Ctr l+ F) and type “ASIN” on your browser. You can find ASIN as shown below. Just copy and put it on Column A of ASIN tab. You can find “Amazon price alert tracker” menu button. Click that and it’ll display drop down as shown below. Click the “First Run” option to initialize the script. Alternatively, you can also click on the button “Click here for the first-time run” in the ASIN tab. 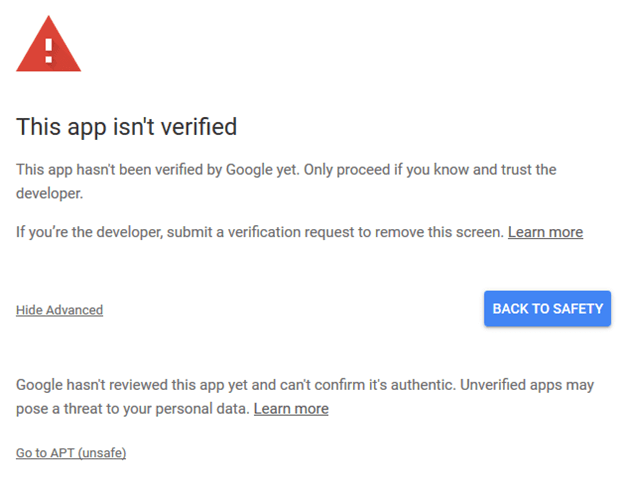 Sometimes, you’ll get pop up like this for verification as we are connecting to Amazon API (Google consider this as the third-party app). Click the advanced link and select “Go to APT” link. 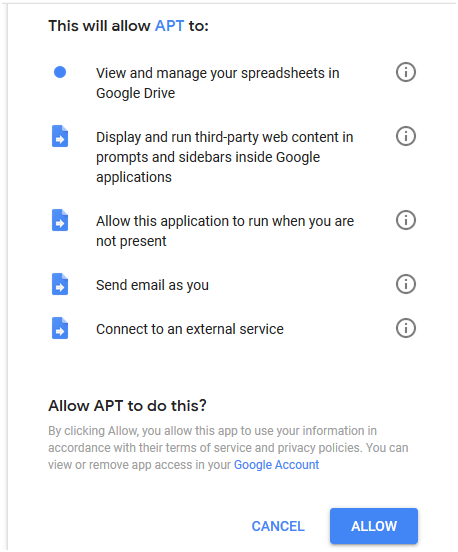 Now you want to give access to the Script to connect with Amazon API, your Gmail for sending email on behalf of you to the Email ID entered in the settings tab and automatically run scripts every day on the server side. Click “Allow” to proceed further. That’s it, you are done! Your script will run for the first time and show you the results on the ASIN and for confirmation, you’ll get an email as well. From now onwards, everything is automated! It’ll track the price every day and send you an update. You can add/remove products when needed. Why are you waiting?? Let me know if you have any clarifications. Do you want to customize this script as per your needs? Get in touch with me.